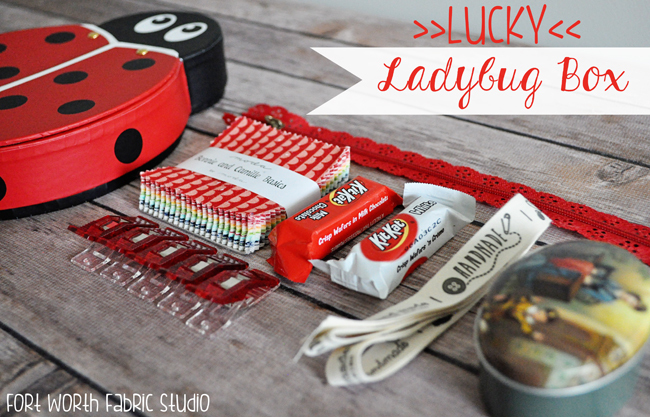 Fort Worth Fabric Studio: Lucky Ladybug Box + Two Projects! 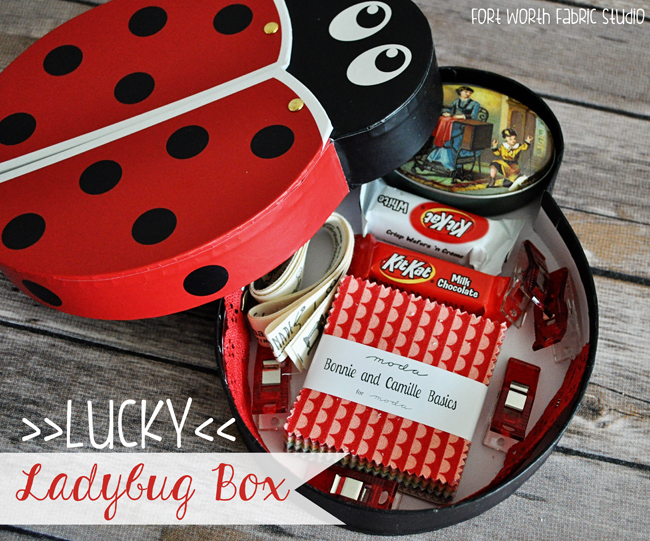 Lucky Ladybug Box + Two Projects! Hi there! 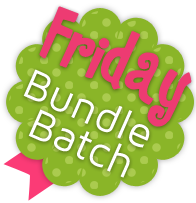 I have something fun to share with you today! 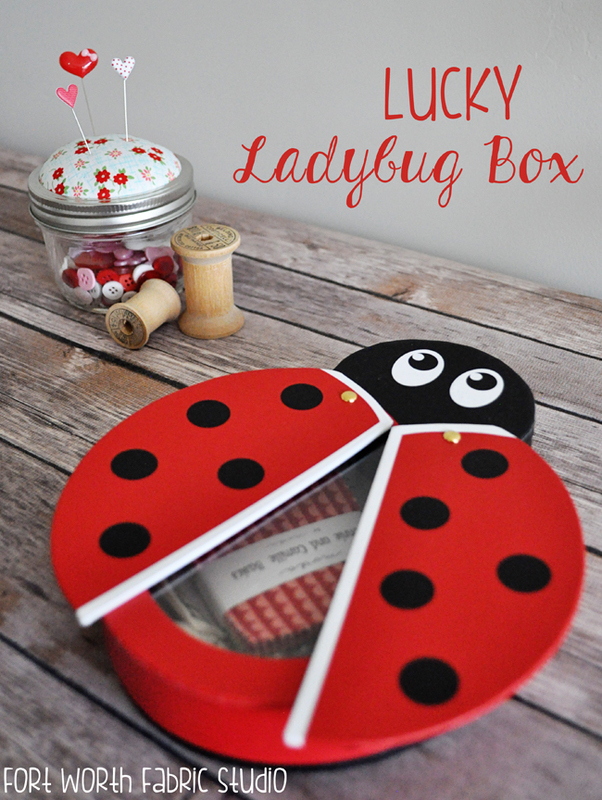 Have you seen our cute "Lucky Ladybug Boxes?" 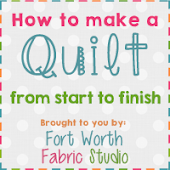 They are a Fort Worth Fabric Studio exclusive and they are full of all sorts of goodies! 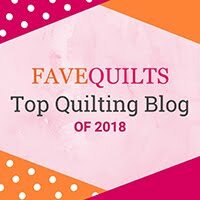 When I went through my cute little box, I thought it would be fun to share a couple of projects I made using the items in the box. 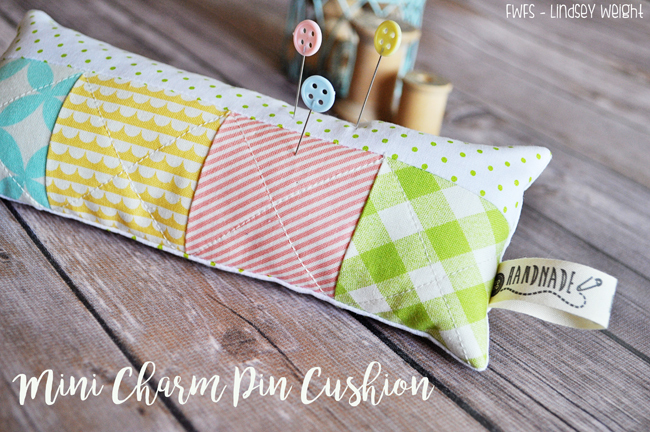 The first project I made is this cute little pin cushion! 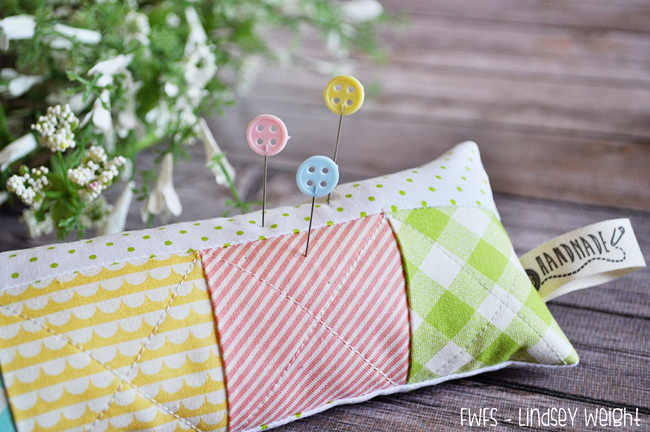 I have a thing for pin cushions right now, and I have yet to make a rectangle one - so I came up with this cute design. 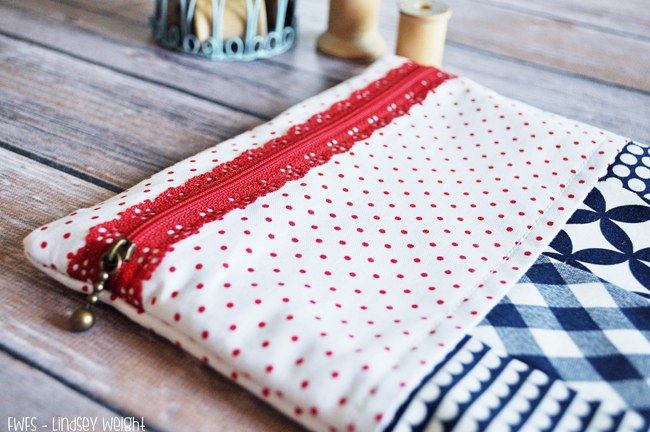 I just sewed 4 of the mini charms from the charm pack and added some swiss dots, sewed on a backing and stuffed it! Easy peasy! Isn't it so cute?! 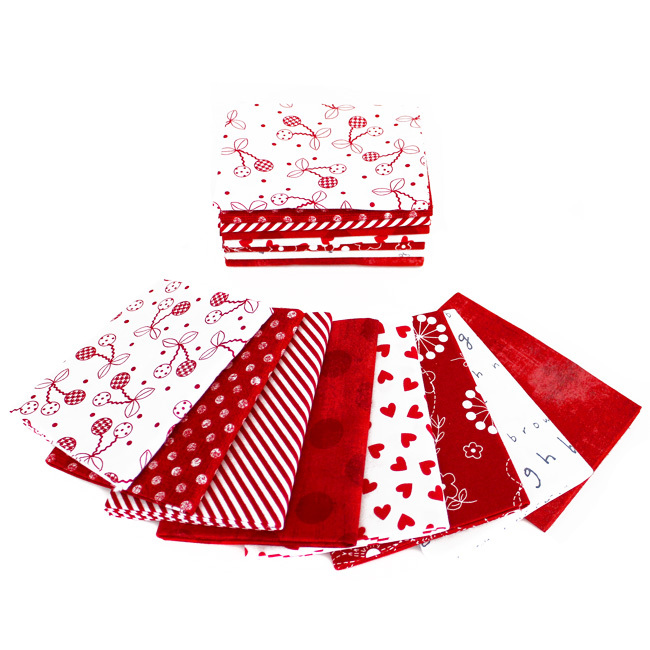 I added the cute Zakka tape tag on the side for some extra cuteness! 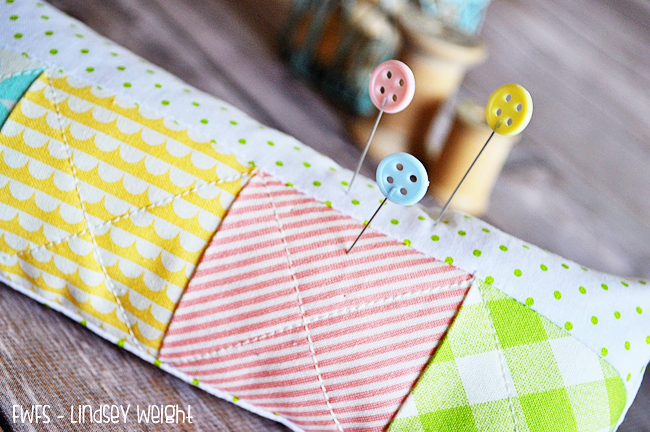 Oh and I used those handy clips to help me keep the pin cushion closed while I hand stitched it shut! 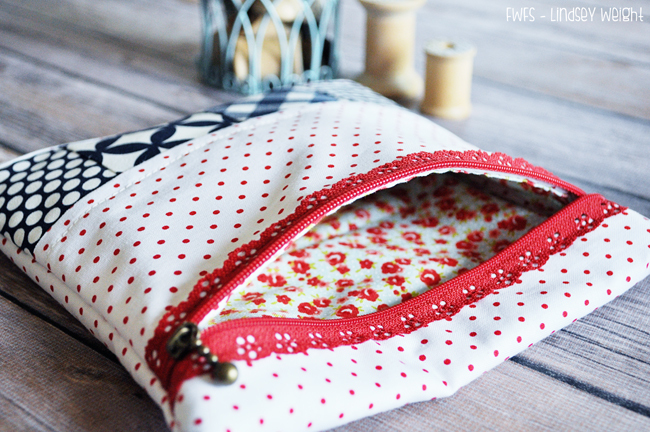 I love making these sweet pouches, and you can find the tutorial to make your very own pouch right HERE!